When you and your children step out of the plane in Tenerife, you fall in love at first sight with the place. Everything about this paradise island is magical - its beaches, the sea, air and people. You might find that your stay is too short for all the magnificent things you and your children can do in Tenerife. The choice is all yours; be it swimming in the crystal blue seawater or in wonderful aqua parks, visiting the zoo with a variety of wild animals, or taking your children to see the most spectacular dolphin shows. Tenerife holidays are truly amazing! 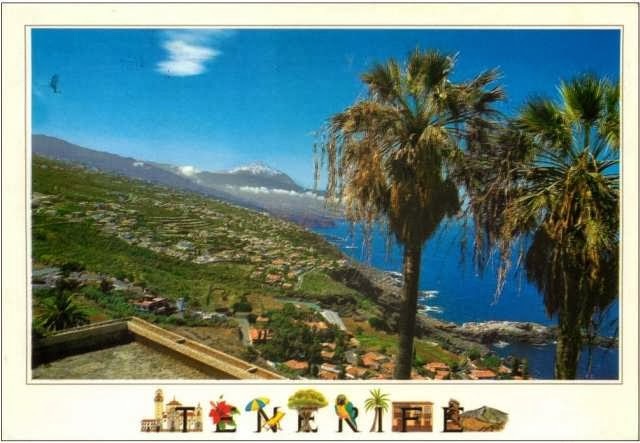 Tenerife is renowned for its beautiful beaches of gold and white sand that was brought over from the desert. Look for the white sand beaches as they are easier to walk on and your children will enjoy making a sandcastle while playing around. You can spend some quality time with your children and show them how to use their buckets, rakes and shovels that they happily brought with them. Spending days on the beach is not your idea of a perfect holiday? In Tenerife you can have the most active holiday as they simply thought of everything. Children love to see animals in their natural habitat and the Whales and Dolphins Trip is just something they will remember. You can either go by catamarans or boats to see the dolphins swimming and jumping in the sea or visit one of the wildlife reserves. You and your children are ready for another holiday adventure – Loro Parque. This is one of the most amazing tourist attractions in Tenerife where your children may for the first time in their lives see the world`s most interesting parrot collection. And this is not all – all children will jump for joy if you take them to see the dolphin and whales show. Watch for their faces when they see a shark coming out of its tunnel! With many water slides, water splashing and pools your children will enjoy the day spent at the Siam Park Water Kingdom while exploring its wonders. Built as a tropical oasis this is Thai paradise in Europe. When they get hungry take them to one of the many restaurants with delicious Thai food or fast food. Be prepared to see the biggest statue of a dragon in the world and huge 3 metre high waves. After a day at the park treat your children with ice-cream in one of the many ice-cream huts. These funny animals are among every child’s favourites. If all you children expected from the holiday in Tenerife was swimming and sunbathing, surprise them. Take them to the Monkey Park – Los Cristianos Zoo. Your kids will love to touch some of the friendliest animals and tell stories about gorillas and chimpanzees long after.